French Country Life Travel Flavors. They come in all shapes, sizes, colors and textures. I’ve been lucky enough to taste many. But not all. Never all. That’s why I’m Still at it. France has been good to me. As I revealed in THIS POST. But my greatest Treasures of France on my French Country Life Travels have been the unexpected ones .Don’t you find that to be so? Naturally, before embarking on any adventure, you have dreams, expectations, cliches dancing around in your head. Some prove to be true. Others not. But, in my experience, and I imagine in yours, the greatest “gems” are the ones you never could have imagined. N’est ce pas? It’s the obvious personal one. The memories that call out to me from each frame of film. Taking me back, in minute detail, to the place, time and situation of our happy collison. I’m sure you’ve had a similiar experience with whatever personal image making you’ve been involved with. For that’s what images are all about – “hostages against time” – as the English photographer David Bailey describes it. Every personal image, be it film, video, or photograph freezes an emotional moment. And in doing so, makes it immortal. It remains constant and fresh. While we, sadly, do not. Perhaps that’s why we’re so drawn to, images? So, although I can’t share my emotional moments of these Flavors of French Country Travel Life with you – perhaps they’ll stir a few emotions in you. Ones that might inspire you to begin an adventure of your own. (preferably with images!) Bon appetit! Simply one of your best posts/videos EVER! amazing video! thank you SO MUCH!!! Totally GOBSMACKED! The combination of information and entertainment presented is beyond stellar!! All my hats (and I have several) are off to you!!! Of all your fine videos, this one is perhaps the most classic. can only heartilty agree with your previous commentors…..this is one of your best!…..and you’ve got a lot of them!! Dreamy stuff…particularly like the way yo fade into each new scene. i’m with iris on the fades…..and i’d like to add that your choices of images really makes it all smooth and natural…..not just some effect. Your narrative skills – text and video – never cease to amaze and delight. Long may you create! just an amazing video!.. ;and a great post too!! 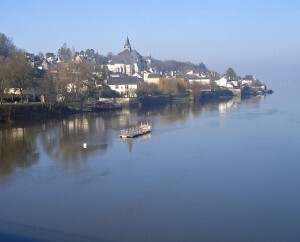 has got me revved up for a french visit real soon – great stuff! I’m with you Steve….only hope i find “flavors” as tasty as DA BG’S! my only regret is that it’s not longer! i hear ya zazou!…..hey BG – howsabout 10 minutes plus??? OK – i’ve always dreamed of going to france…..but thanks to this video and your post…….i’m finally going to do it! this video is the next best thing to being there!…but like one of your other commentors said :”Longer please next time!!! 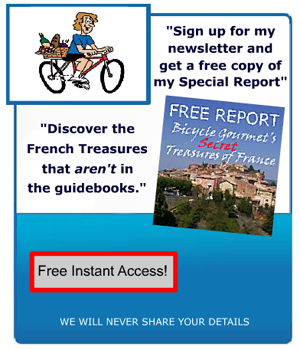 I’m one of the lucky ones – who like you has had the first hand experience with the incredible French countryside…and I’d just like to let your other readers know, that your video perfectly encapsulates my experience….and would, I think, for most people.